When looking at ways to drive engagement for your student-athletes in the community sometimes it’s best to look outside your athletic department for the answer. Creating strong community partners has been a proven way to create meaningful experiences that make lasting impressions. 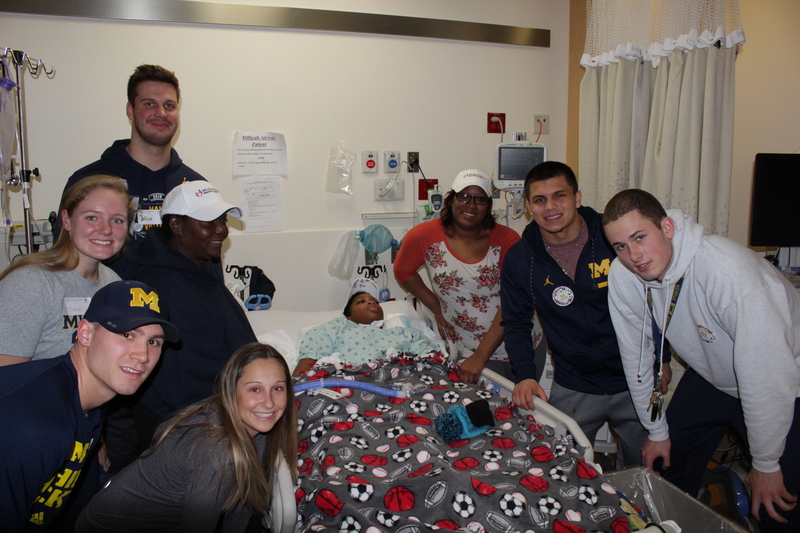 A great example of a community partner is University of Michigan’s relationship with Mott Children’s Hospital. To gain some insight on this relationship, Colette Hemker, Assistant Director of Leadership Development and Community Engagement at University of Michigan Athletic Department, answered some questions about this two decade long relationship. 1) What is the History behind the University of Michigan’s relationship with Mott Children’s hospital? History of Michigan From The Heart (taken from the MFTH brochure): The vision of From the Heart first came to Ed & Leann Boullion by way of great misfortune. Their daughter Channon was diagnosed with cancer in 1991 and received care at C.S. Mott Children’s Hospital. Thankfully Channon’s cancer has been in remission for several years. In fact, she has earned a degree in flight aviation and has begun her career as a pilot. 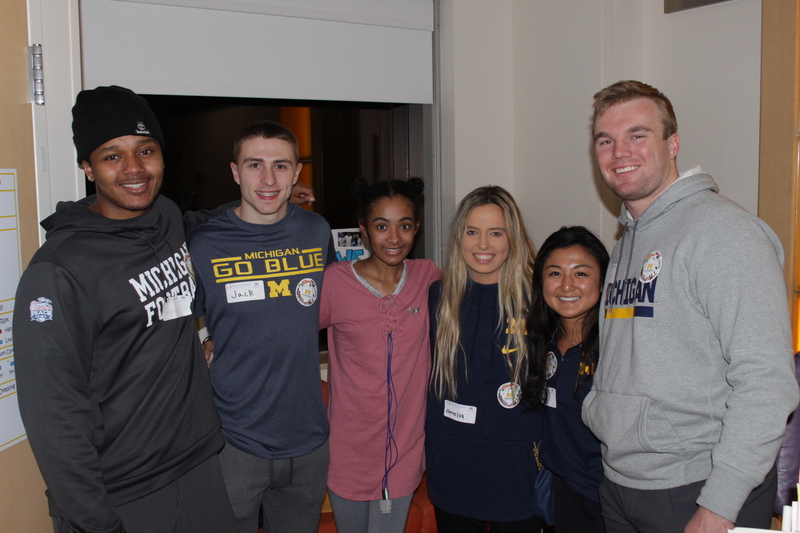 The Boullions and their friend Tom Bloom realized the significance of the visits from the University of Michigan student-athletes with the patients at C.S. Mott Children’s Hospital. As a result, From the Heart was formed to offer friendship and a little cheer to critically injured and ailing children. Now two decades later From the Heart is more dynamic than ever. After Leann’s passing a few years ago, Ed continues to be the driving force behind the organization and its simple yet critical mission: to improve the quality of life for the patients at Mott. 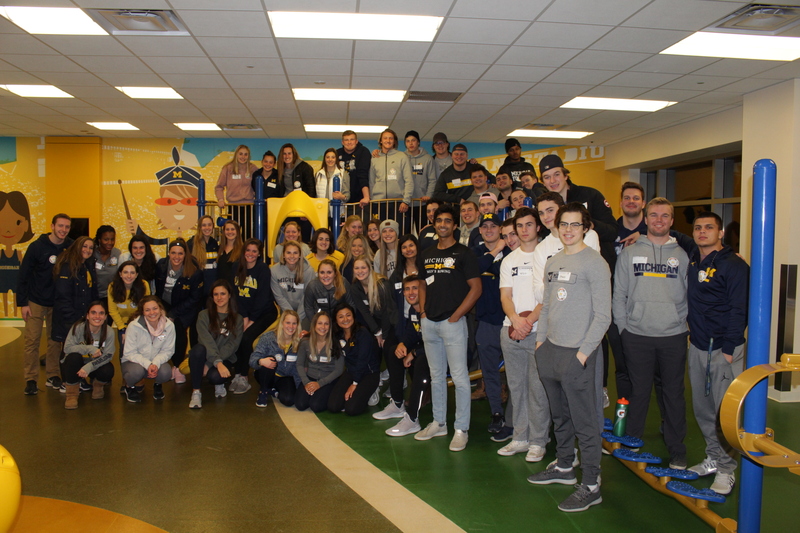 From the beginning, U of M athletes have traveled the halls of Mott looking to brighten the days of some very ill children. Each year a growing number of student-athletes, coaches, and other student volunteers learn the value of helping those who are less fortunate. They bring joy to those who need it most in their lives. 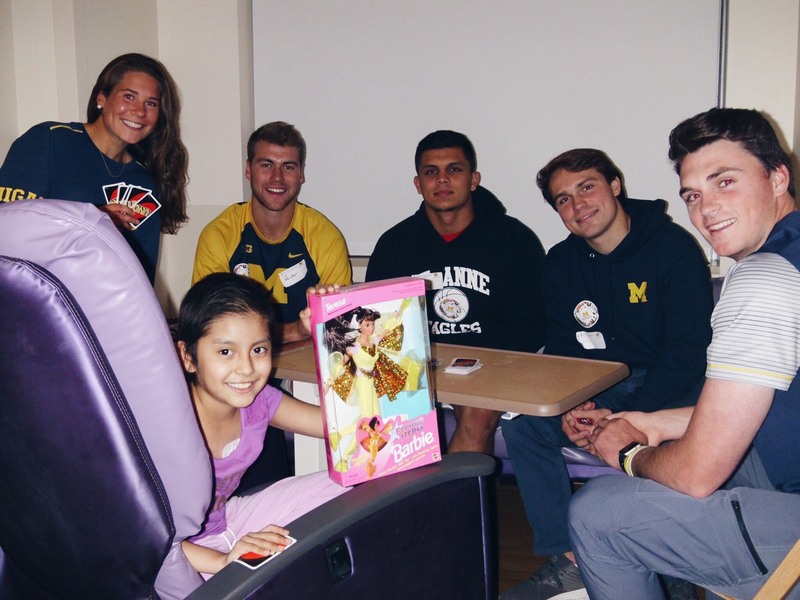 The benefits of these hospital visits are twofold; the patients often meet a role model and make a new friend, and the student-athletes witness firsthand the advantages of giving back to the community. 2) What positive experiences do you think your athletes gain by your relationship with Motts? From what S-As have told me, visiting the kids at Mott is often a highlight of their week. They say when they have a bad game or tough practice, it only takes a few moments with a child in the hospital to think about their experience from a completely different perspective. The children are amazing examples of courage and bravery. 3) Are there big events that you do with the hospital or is it mostly smaller team or individual based visits? Primarily, the relationship involves regular visits on Thursday nights, 7:00-8:30 PM, throughout the year. We have anywhere from 20 – 80 student-athletes that go each week. S-As sign up for a floor they are interested in visiting. They break-up into small groups and visit patient rooms that want visitors (coordinated by the hospital). Each group spends about 10 minutes per room visiting with the patient and/or their family/guardians. At the end, the athletes sign a Michigan From the Heart baseball cap and take a photo (with family permission). Team representation varies each week (depending on who is in season or if teams are traveling or practicing during the visits), but almost all of our teams have had a few student-athletes visit at least once. Many of the S-As that go, go regularly when they can. The regulars will often go to the same floor week to week because they have built relationships with the patients on those floors. 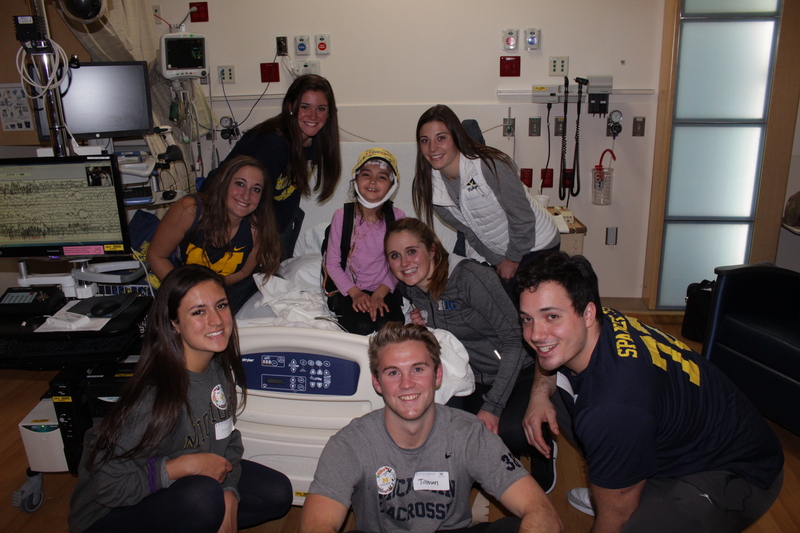 4) Why do your athletes like volunteering at Mott Children’s Hospital? “Visiting Mott Children’s Hospital is not only a privilege but an honor. A lot of parents often ask if Michigan Athletics mandates the student-athletes to visit the kids. However, it is quite the opposite. Mott’s have made Thursday my favorite day of the week, and the one I look forward to every week. Whenever I am unable to attend Thursday night visits I feel as though something is missing from my day. There is no greater feeling than sharing special moments with these children, big or small. It is a unique experience that allows you to remember there is so much more to life than athletics. To be a role model for a lot of these kids is rewarding. I have met some of the strongest humans during my visits, being able to remind myself to enjoy the little things and take the carefree moments and make them the most important has been an experience of a lifetime. Being an athlete puts these students on a stage to do some great things within their communities. If the experiences that they have when in that position are positive, it can position these students to be lifelong helpers of their community, continuing their impact long after they leave your institution. As seen through the answers above, having community partners can create experiences that your students want to be apart of, experiences that can foster a tradition of serving. Turning the service that they are doing into lasting memories and experiences for your student-athletes to take with them when they leave your institution.